John Wesley Patton, 66, of Eveleth, passed away on Sunday, November 11, 2018 at the Solvay Hospice House after a courageous eight and a half year battle with advanced metastatic prostate cancer. He was surrounded by the love of family and friends during his hospice stay. He was born on September 23, 1952 to Robert and Donna Patton in Grand Forks, ND. John retired after owning and operating Northern Industrial Insulation in Hermantown, MN. 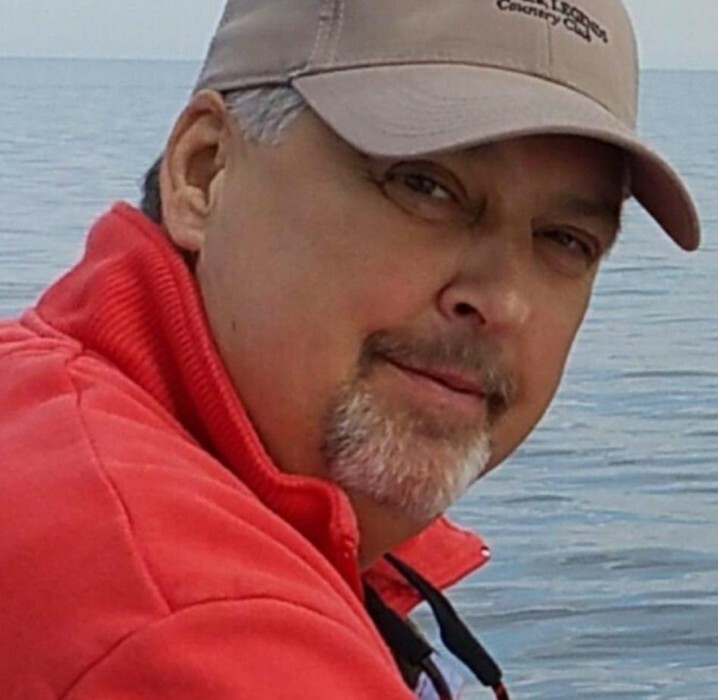 John’s pastimes included fishing, boating, four wheeling, classic cars, and spending time with family and friends. The best time of his life was spending time with his two amazing grandchildren who he adored and loved and they loved their papa. He was preceded in death by his father Robert, and his furry friend Morgan. He is survived by his loving wife, Sharon; mother, Donna Patton; son, Bill (Kris); grandchildren, Ellery and Steeger; sister, Stephanie (Jim) Potter; several nieces, nephews, extended family, and a multitude of great friends. The family would like to thank Dr Nikcevich and all the Essentia Health staff for the care they gave John for the last eight years, and a big thank you to the angels at Solvay Hospice House for their loving care of John. Visitation will be held on Thursday, November 15, 2018 from 10AM until the 11AM Memorial Service in Williams-Lobermeier-Boettcher Funeral Home. 3208 W. 3rd St. Duluth, MN 55806. 218-624-1059. A Celebration of John’s Life will be held on Saturday, November 24, 2018 from 4pm to 7pm at the VFW in Gilbert, MN. 224 N. Broadway Ave., Gilbert, MN 55741. Arrangements by Williams-Lobermeier-Boettcher Funeral Home.